This is a unique front linkage system, build for the forest use agricultural type tractors. 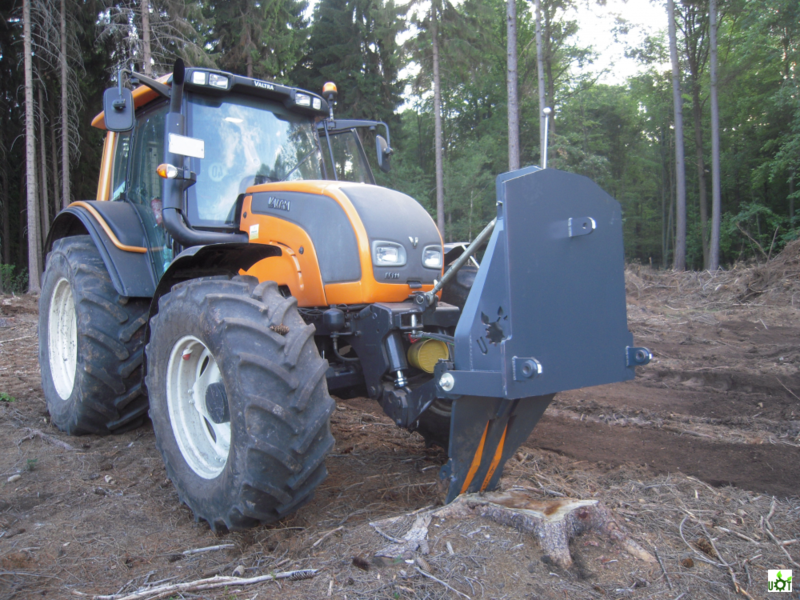 Features 500 kg of weight, capable of lifting the front of the tractor in case of foundering, pushes back tractor, if it sit down and works as a front blade for mounding or pulling out roots. Moreover it is possible to equip UOT-Arm1 with the winch.